Once in a while, we all get the call to go away somewhere isolated and quiet to disengage from the daily grind and rediscover inner peace. You’ve given love and care to the world at large, it’s now time to nourish yourself and replenish your energy. Have you considered yoga retreats? Whether you need a week, two weeks, or a month to nurture the mind, body, and spirit, these three serene yoga retreats will help you find that inner quiet and wholeness that you’ve been craving for. Just the name Enchanted Mountain itself brings to mind images of peaceful green mountains, enchanting forests, and fairy-tale waterfalls. You’ll find these, and more at this magical sanctuary for relaxation and healing. Surrounded by pure nature, Montanha Encantada is an ideal setting for deepening your yoga practice and finding the beauty and stillness within. 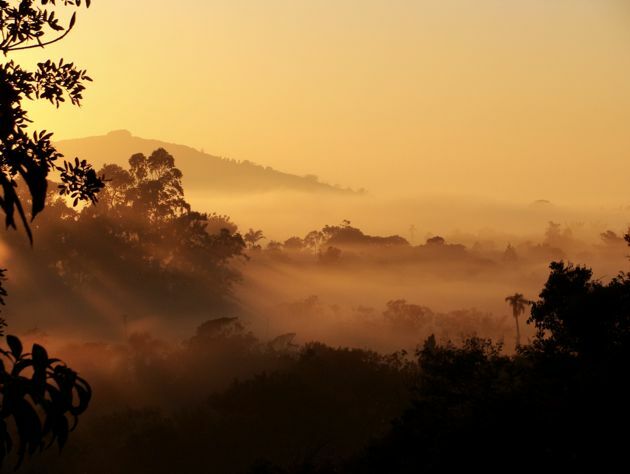 Located in the South of Brazil in the state of Santa Catarina, known for its wide expanse of white sandy beaches, Enchanted Mountain is approximately fifty miles south of Florianópolis, where the closest airport is. Praia do Rosa, one of the best beaches in Brazil, is only a taxi ride away. Facilities include two spacious yoga studios with mountain views, a lovely temple, and natural spring water pools. The center also hosts the largest Ayurvedic treatment center in South America, with treatments such as massages and Panchakarma programs. Come here for the seven-day Ayurvedic Treatment programs, Yoga Vacation Packages, or Yoga Therapy Training. If you have a month, consider taking a Teacher Training Course with well-loved Mallorca-based teachers David Lurey and Mirjam Wagner. They host a transformative Yoga Alliance Certified Teacher Training every February/March. The next one is slated for February 24 – March 23, 2013. For details, visit David Lurey’s site at Find Balance. Imagine spending a month practicing yoga in this idyllic wonderland and coming back home certified to teach! A truly magical yoga retreat between the mountain and the ocean where the sound of the Pacific Ocean dominates, Esalen inspires with its blend of East/ West philosophies, unique workshops, natural hot springs, and breathtaking surrounding set on 27 acres of dramatic Big Sur coastline. You can choose to join a weekend or a five-day workshop taught by some of the world’s most amazing yoga and movement teachers, writers, and artists; or create your own personal retreat by becoming a Friend of Esalen and participate in daily classes as you wish. 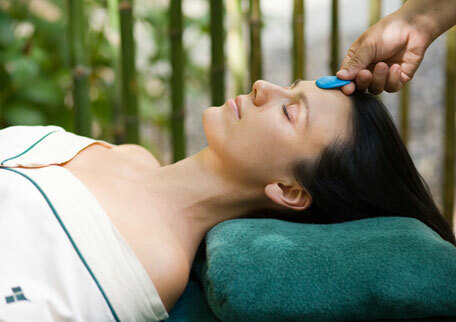 The Esalen Massage, influenced by the rhythm of the waves, is a must have experience. It’s easy to see why being at Esalen stirs up reverence and awe of nature – nature is the star and the teacher at Esalen. Surrender yourself to its rhythm and let the rest of the world fade away. The sacred land is also once home to a Native American tribe known as the Esselen, who believed that everything, including trees, rocks, wind and the ocean had energy, emotion, and memory. The same healing waters from the stunningly situated Hot Springs have been flowing for centuries, providing refuge and therapeutic treatments to the Esselen then and many others now. This health and wellness resort located seaside in the Royal city of Hua Hin on the Gulf of Thailand, not too far from Bangkok, is definitely a splurge worth taking. Consistently voted one of the world’s best spas by travel and spa publications, Chiva-Som is an absolute bliss that stands true to its name (“haven of life”). Whether you are here to rejuvenate, detox, focus on your yoga practice, or do a little of everything, allow yourself to be pampered, and most importantly, enjoy every moment. Activities include a variety of yoga, Tai Chi, Pilates, and cooking classes. Chiva-Som also regularly hosts an amazing roster of visiting consultants on a monthly basis. Signature and holistic treatments such as Herbal Massage, abdominal massage and homeopathy combine intuitive Eastern rituals with modern diagnostic techniques. Chiva-Som is what a spa should be – tranquil, blissful, mindful, and healing, with legendary Thai hospitality, lush tropical gardens, and delicious organic spa cuisine that will please vegetarians and non-vegetarians. Hua Hin itself is a charming town with green hills and rice field to explore. Over half of the guests are repeat guests. When you visit, you’ll know why, and you’ll want to come back.